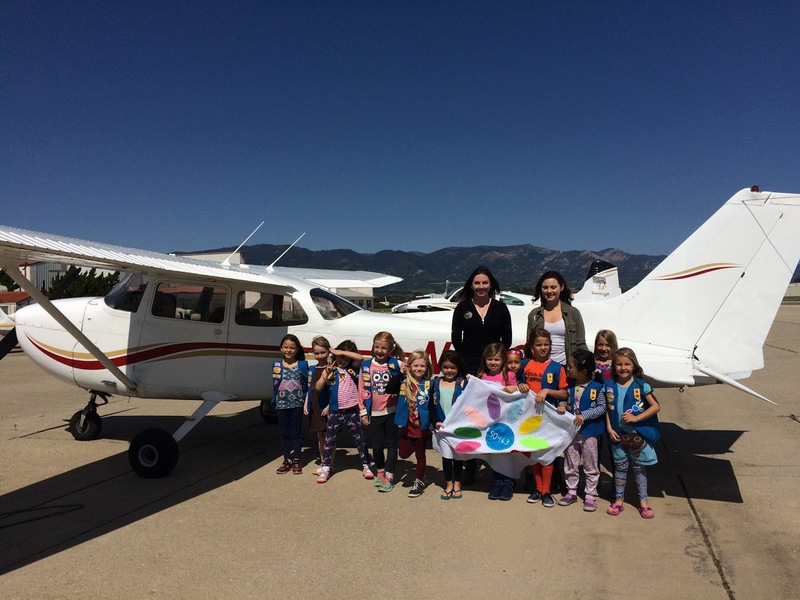 As part of earning their “Responsible for what I say and do” Daisy petal, Girl Scout Daisy Troop 50463 of Goleta visited Above All Aviation to learn about pre-flight checklists – the list of things that airplane pilots need to check each time they take an airplane up to make sure the airplane is safe to fly! 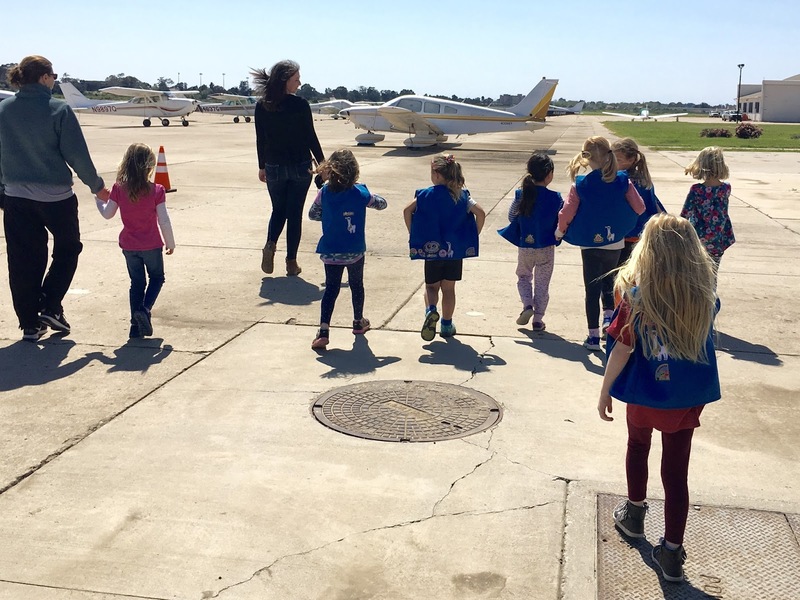 The troop also met female pilots who will be racing in an all-women cross-country air race this summer and got to try out the flight simulator! 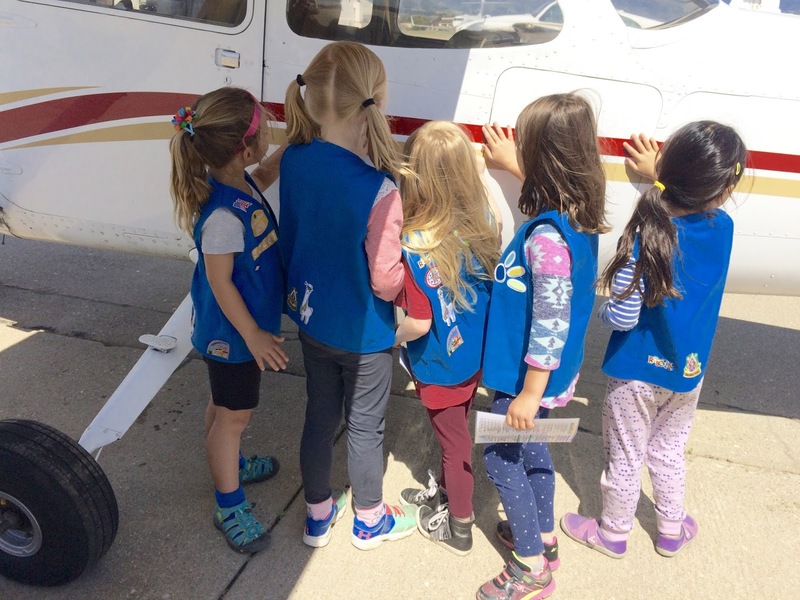 Way to earn your petal, Troop 50463! FORK IT OVER – SAVE THE DATE- Thursday, August 3! Celebrate Brownilympics May 6 & May 20 in Thousand Oaks and Simi Valley!